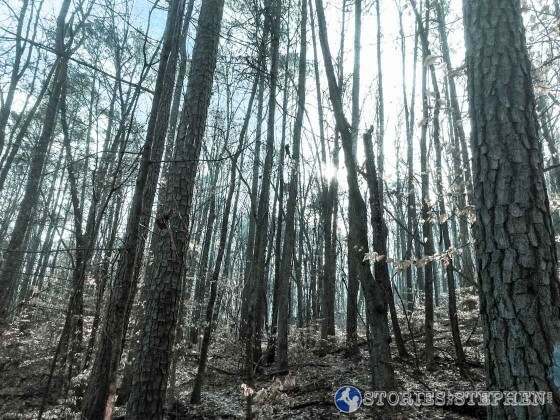 I recently signed up for my 1st trail race, the McKay Hollow Madness 25K (15.5 miles) at Monte Sano State Park (Huntsville, AL) in March. The distance is a normal long run length, but I am used to running on roads, paved trails and grass fields. I have been camping and hiking my whole life, but I have never run on trails before, with the exception of 1 lousy season of high school cross country and a single 5K race in 2014. 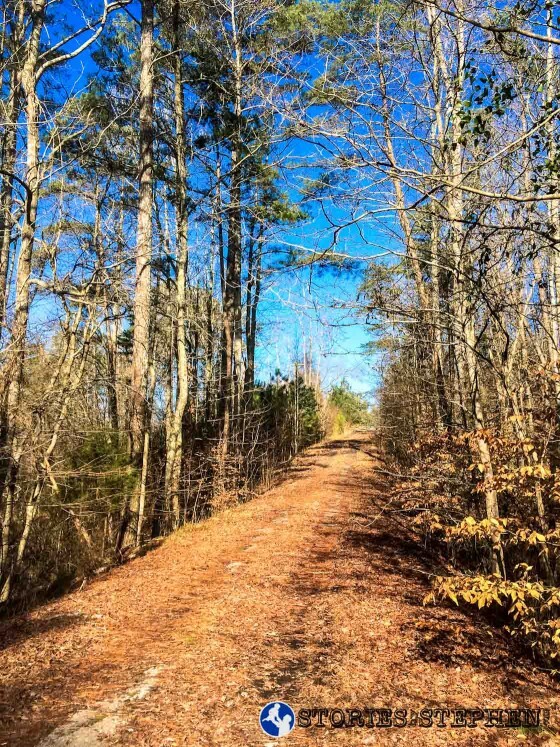 There is a big difference between running 3 miles and 15 miles on trails, so I decided to get in some training trail runs over the next few weeks leading up to the race. 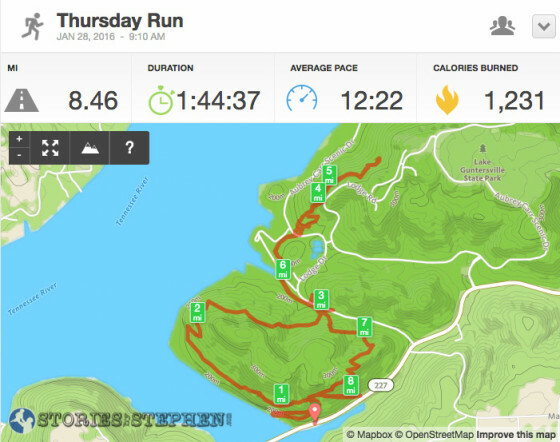 This past Thursday I dropped Sam off at preschool and headed straight to Lake Guntersville State Park to get in my 1st serious trail run. 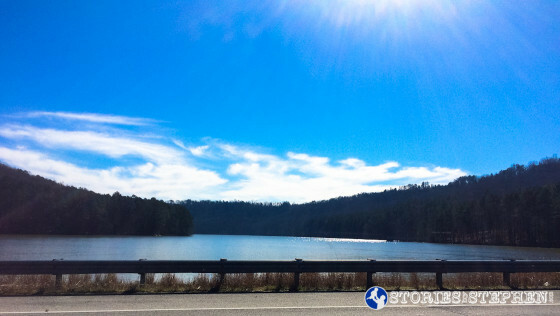 Headed to Lake Guntersville State Park for my 1st trail run. Crossing the water just before I came to the trailhead of the Tom Bevill Trail at Lake Guntersville State Park. I carried a paper trail map just in case my iPhone died. I quickly realized, which I already suspected, that running trails is a completely different beast than the type of running to which I am accustomed. It took me about 200 yards before I got lost, and unfortunately, finding myself off the official trails was a recurring theme all morning. 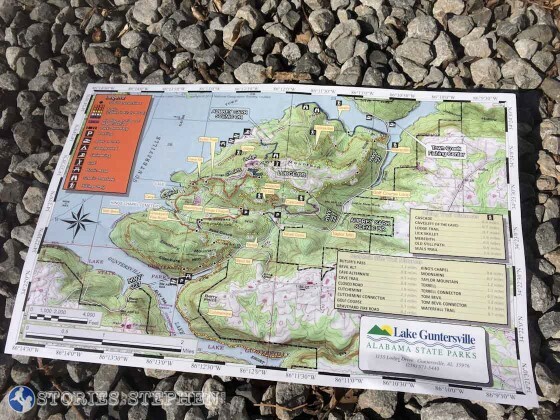 I am glad I carried the paper trail map in case I needed it, but I constantly found myself stopping about once a mile to check my GPS location on my iPhone . 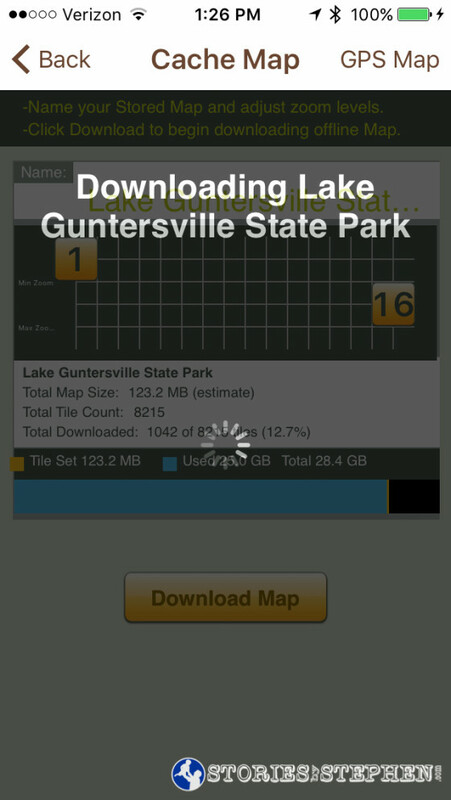 The state park app has built-in GPS tracking. 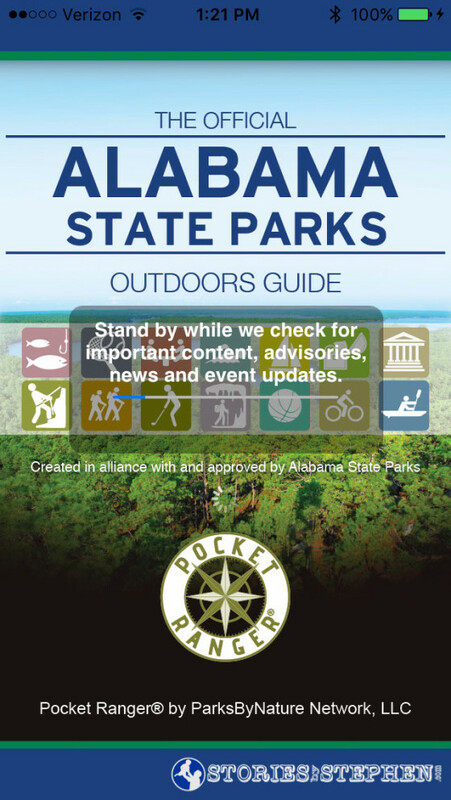 What made the official app from Alabama State Parks extremely useful is the ability to cache the park maps, or download them for offline use. 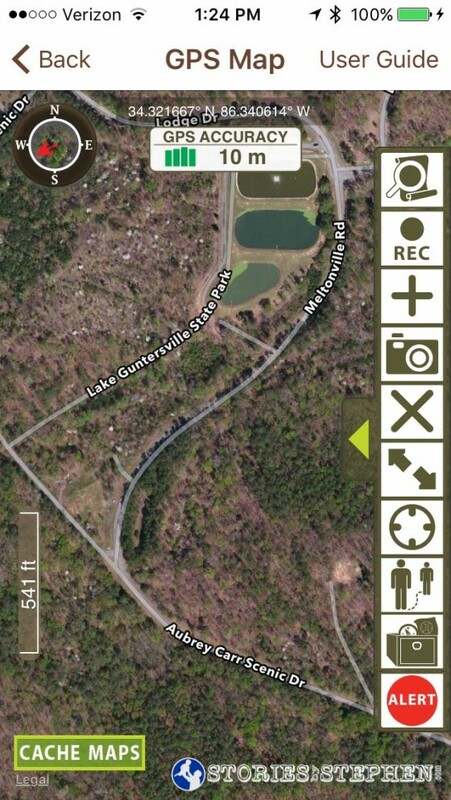 I rarely had Verizon coverage at Lake Guntersville State Park, so having the maps downloaded for GPS tracking helped me time and time again when I got off trail. 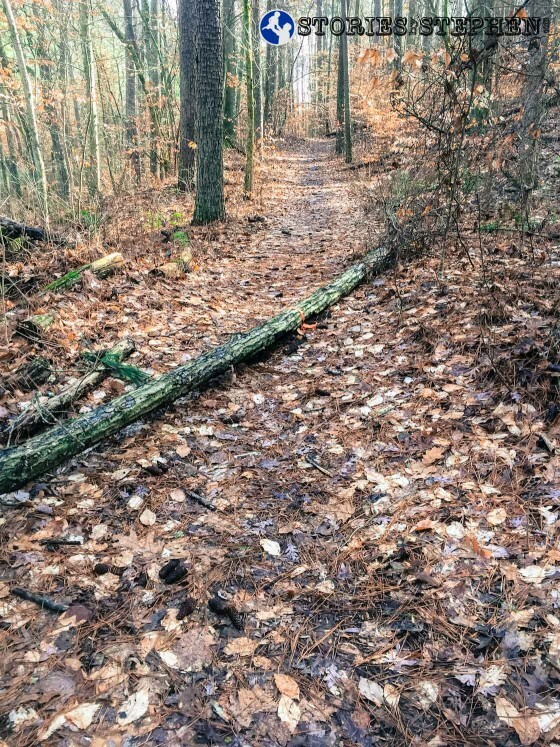 I was all alone in the woods on my 1st trail run. I saw lots of deer, but no other people. 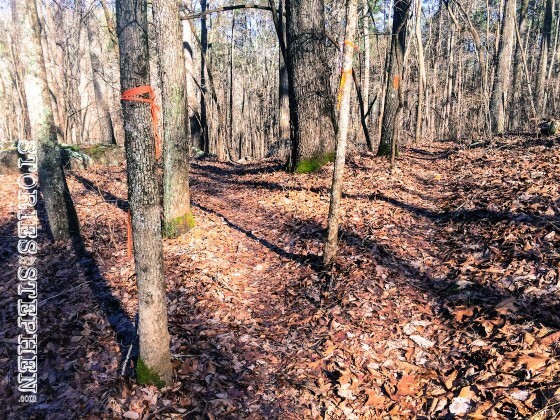 There were occasionally signs marking the trails, but usually the trails were not marked very well at Lake Guntersville State Park. 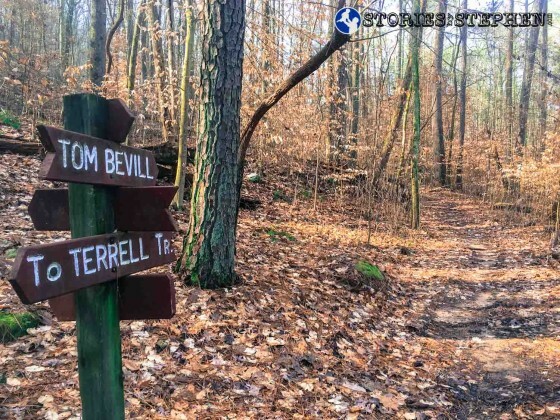 This fork in the Tom Bevill trail has no signs to indicate which direction to go. 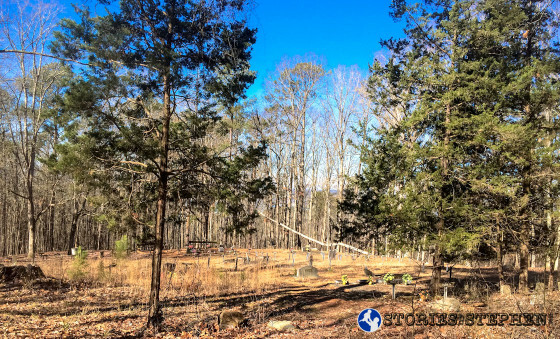 There were many fallen trees on the trails at Lake Guntersville State Park. While this is a small tree, often times the trees were several feet thick, requiring me to climb over them. The trails are not usually this wide and spacious. They typically are narrow, thorny, muddy and full of switch-backs and rocky areas. I came across this cemetery in the middle of the woods. I would occasionally find a beautiful view of Lake Guntersville from the trail. 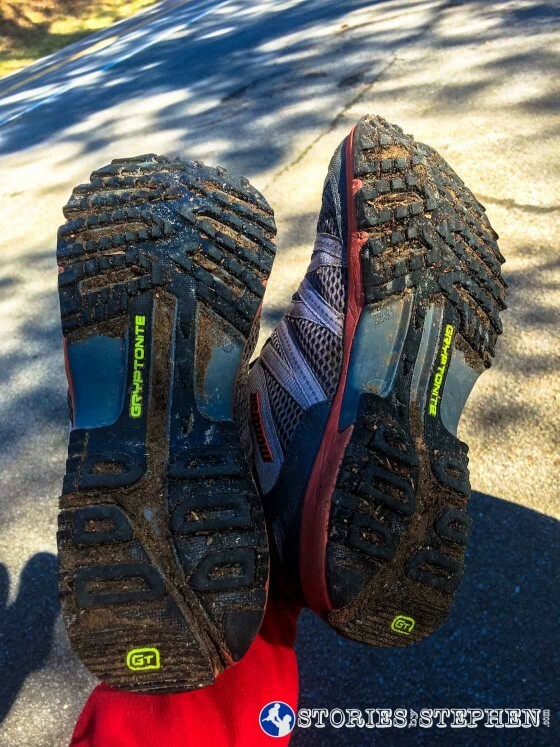 I am glad I got waterproof trail shoes because I was constantly running through mud and crossing creeks. 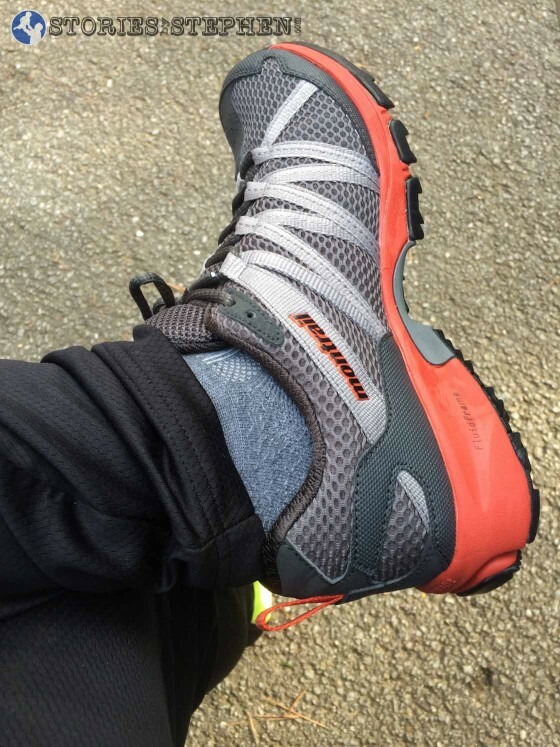 This was a good test for my new shoes, and I only came away with a couple blisters and bruises, along with a few rolled ankles (not the shoes’ fault). Overall my 1st trail run was quite an adventure. I have gained serious respect and admiration for those who run ultra-trail-marathons. I can only imagine how difficult it is to run 100 miles through the Rocky Mountains in less than a day. I have quite a ways to go before I even feel confident about running 25K on trails at my upcoming race. 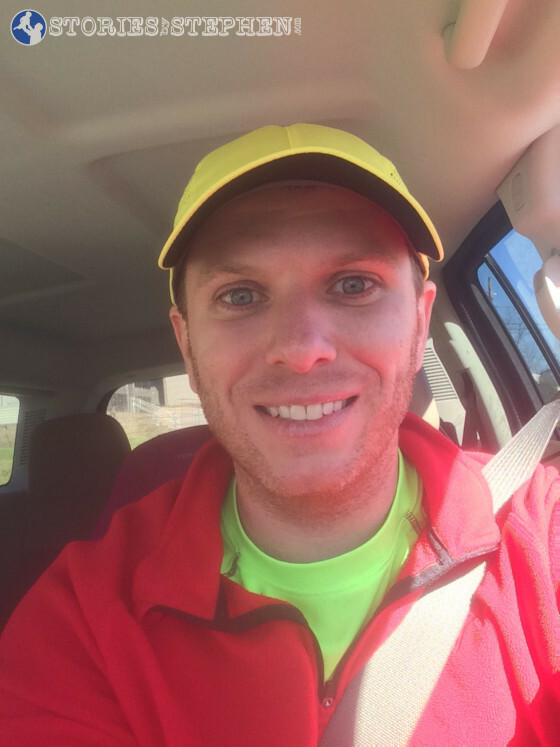 Check out my other posts about running.